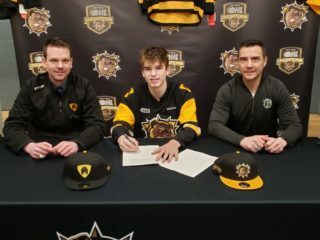 The Bulldogs wrapped up Training Camp Thursday with the annual Black and Gold game at FirstOntario Centre. With the veterans not in the line-up the young players had one more chance to impress the Bulldogs coaching staff and management. Team Black jumped out to a 2-0 lead only to see Team White storm back and score five unanswered goals and then hang on for a 5-4 win. Liam Stevens and Ben Woodhouse each had a goal and an assist for Team White while Avery Hayes led the Team Black offense with two goals. 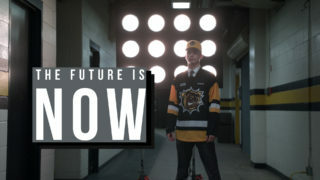 Team management will make cuts before the team leaves for Buffalo to take part in the 4-team OHL Showcase to be held at Harborcentre from August 31 to September 2. 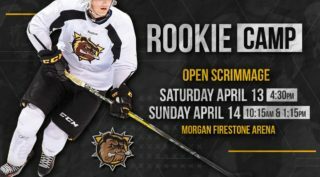 Also taking part will be the Erie Otters, Flint Firebirds and Windsor Spitfires. 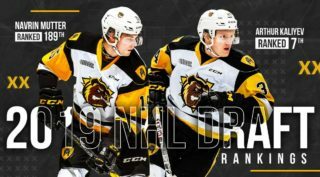 Hamilton opens defense of its OHL Championship on September 21st in North Bay with the unveiling of the Championship banners at the home opener at FirstOntario Centre on Sunday September 30th against the Ottawa 67’s at 2 pm.